It’s not uncommon for kids and pets to share a household, but the family pet may pose a health risk to kids. While Fido’s presence may be innocuous enough, researchers say his medications could send kids to the ER. Poisoning from pet medication happens more often than you might think. In fact, researchers from the Center for Injury Research and Policy found that one poison center in Ohio received more than 1,400 calls for poisoning from pet medications over the past 15 years. Each year, the Central Ohio Poison Center (COPC) at Nationwide Children’s Hospital receives an average of 95 calls about children and teens having been exposed to pet meds. 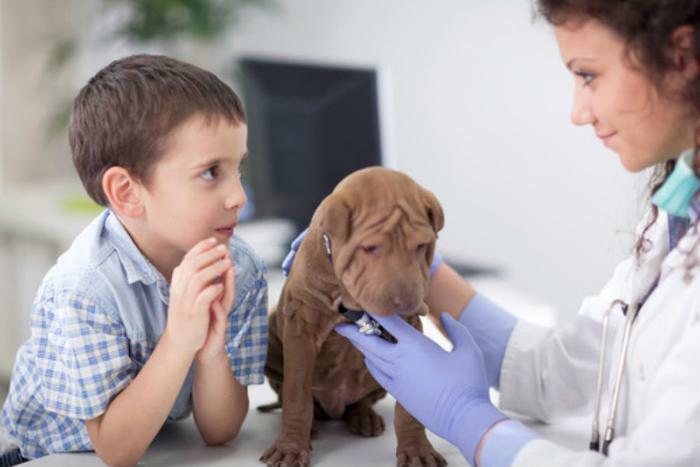 Children are often exposed to veterinary products such as flea medication and heartworm pills. Drugs associated with poisoning included medications with no human equivalent (17%), antimicrobials to kill germs (15%), antiparasitics to kill parasites (15%), and analgesics to relieve pain (11%), according to the study. The report, published recently in the journal Pediatrics, found that 87% of calls involved children under the age of 5, but teenagers have also been poisoned after mistakenly taking pet medication instead of human medication. Kids can fall victim to poisoning after picking up pills spit out by a pet or eating food containing medications left uneaten in a food bowl, the authors explained. Occasionally, hand-to-mouth contact can result in poisoning if the child touched an animal being treated with a prescription lotion or cream. “When you have kids and pets in the home, sometimes things get a little busy. Thinking about how your pet’s medicines could be a risk for your family might not even cross your mind,” said study co-author Kristi Roberts from the Center for Injury Research and Policy and Nationwide Children’s Hospital. Keep medications out of sight and out of reach -- ideally in a locked cabinet. Store pet meds away from human medicine in order to avoid a potential mix-up. Keep all medicine in its original, child-resistant container with the label attached. Make sure kids are in another room before giving pets medication mixed with food. Ensure that your pet has finished the medications and not spit them out before allowing kids to play with your pet. Know how to call the Poison Help Line. Call 1-800-222-1222 right away if you think your child has swallowed pet medication.